The NCAA Men’s and Women’s Track and Field Rules Committee has recommended all members of teams must wear the same uniforms, starting in the 2018-19 academic year. 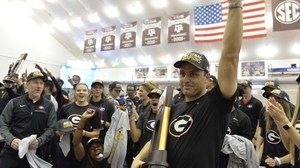 Florida won the 2018 Men's DI Indoor Track & Field Championship while Georgia captured the Women's title in dominant fashion. Southern California's Michael Norman headlines the evening with a new 400m record with a time of 44.52.